Viknesh Vijayenthiran February 26, 2013 Comment Now! 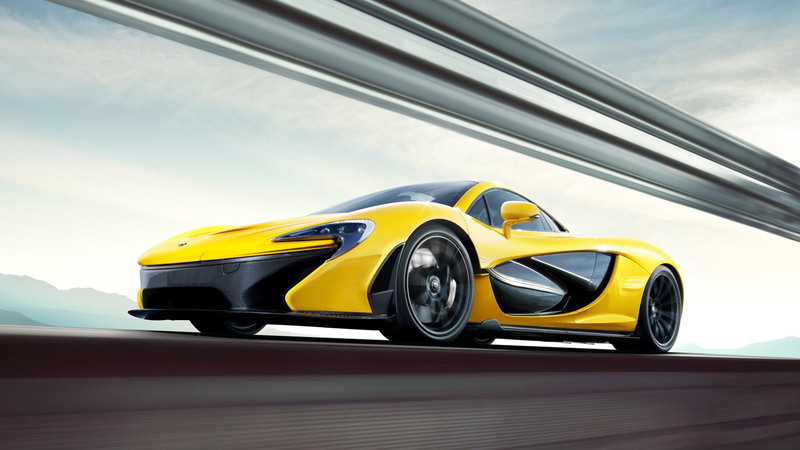 This is the McLaren P1 supercar as it will appear at the 2013 Geneva Motor Show on March 5 and in McLaren showrooms all around the globe later in the year. The production version looks almost identical to the concept version unveiled last year in Paris, with only a few subtle details to tell them apart and all of the proposed Formula One technology still intact. We can confirm that only 375 examples will be built, making the P1 one of the most exclusive supercars of modern times. That number is still more than three times the amount of the P1’s predecessor, the legendary McLaren F1, though we're sure seeing one in your neck of the woods will still be an extremely rare sight, unless you happen to live in Monaco or Dubai. Pricing is set at $1.15 million, though the number is meaningless as we’re sure the car is already sold out. McLaren says at that price the car is fully loaded, but the company’s McLaren Special Operations personalization service will happily inflate the sticker should you desire to burn more cash. Moving on to performance, the P1 will be able to accelerate to 60 mph from rest in under 3.0 seconds, pass 124 mph in under 7.0 seconds, and close on 186 mph in no more than 17 seconds. Top speed is electronically limited to 217.5 mph. 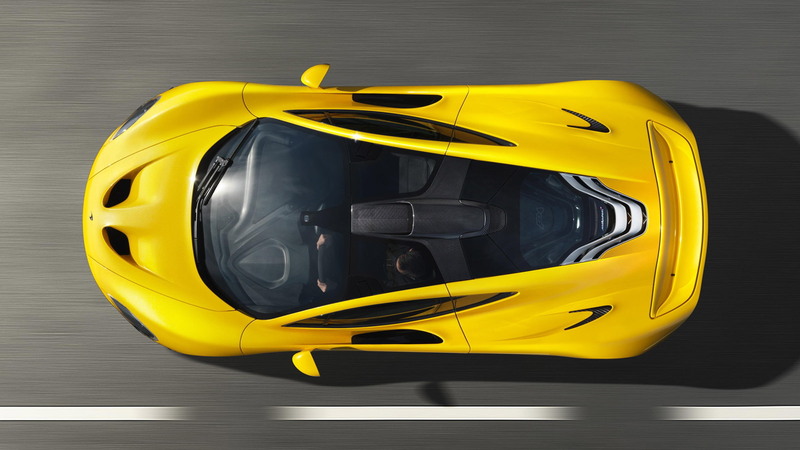 So it won’t outmatch current supercars like the Bugatti Veyron Super Sport and Koenigsegg Agera R in straightline speed, but that isn’t really the point as McLaren has sought to make its P1 one of the fastest road-legal cars around a race track. As already announced, the McLaren P1 will have the combined force of two highly-efficient powerplants: a V-8 engine and electric motor. They offer a mix of insane throttle response, day-to-day drivability and top speed thanks to various driving modes including electric only, gasoline only and combined hybrid modes. 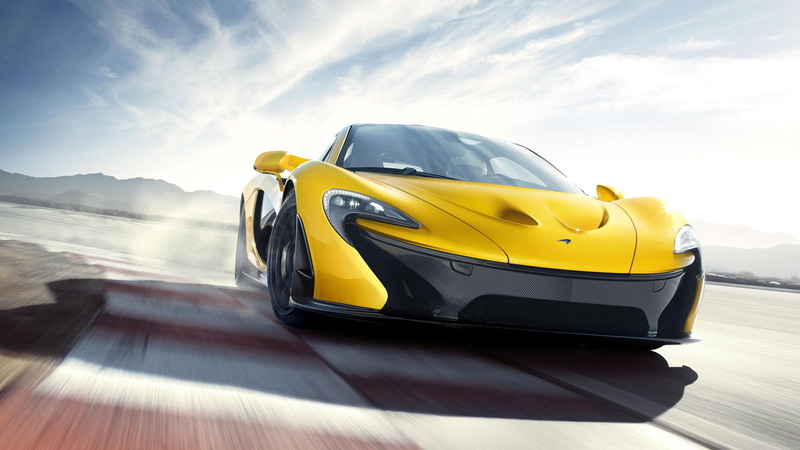 Yes, the P1 is a hybrid supercar, providing a combined output of 903 horsepower and 663 pound-feet of torque. Its V-8 engine is an upgraded version of the twin-turbocharged 3.8-liter M838T unit built by Ricardo and currently fitted to the MP4-12C, and in the P1 delivers 727 horsepower and 530 pound-feet of torque on its own. The electric motor adds 176 horsepower and 191 pound-feet of torque, all of which can be drawn on by pressing the “IPAS” (Instant Power Assist System) button on the car’s steering wheel. McLaren says the additional boost of the electric motor allows a wider performance band, allowing the turbocharged car to feel like a naturally aspirated one. Note, a further benefit is that the electric motor also allows faster upshifts of the gearbox. This is achieved through the application of instant negative torque at the point of shift, making the engine revs drop as quickly and efficiently as possible to the required engine speed for the upshift. In addition to the IPAS button, the P1’s steering wheel features a second button marked “DRS.” This is to activate the car’s Drag Reduction System, which uses technology similar to that employed on current F1 cars. 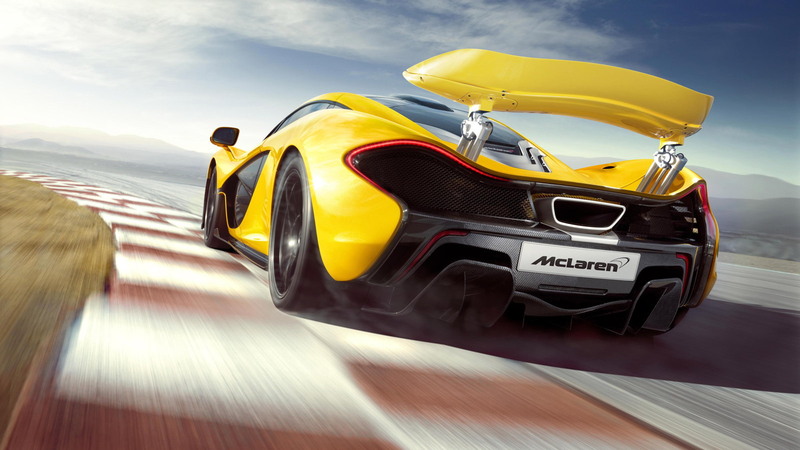 Speed can be increased by reducing the amount of drag--up to 23 percent--on the P1's rear wing, which is done by changing its angle. The system immediately deactivates when the button is released, or if the driver touches the brake pedal. Massive stopping power comes from a braking package developed by Akebono, McLaren’s brake specialist in F1. The system features a new type of carbon ceramic disc, used for the first time on a road car. Not only is the system lighter, it dissipates heat more effectively, giving the highly efficient braking system exceptional stopping and cooling capability. These work in conjunction with super sticky Pirelli P Zero Corsa tires. The team at Pirelli was involved throughout the entire development program, and has also transferred much of its knowledge gained from F1. The car’s construction is all carbon fiber. Built around what McLaren likes to call the MonoCage, the P1 uses a carbon fiber monocoque and roof structure to form a strong safety cage. The structure of the MonoCage, unlike the 12C’s MonoCell, also serves to guide air into the engine through an integral roof snorkel and air intake ducts, saving further weight. The P1 is highly aerodynamic in its design, carrying a drag coefficient of just 0.34 despite generating 1,320 pounds of downforce at speed. Part of that equation is the aforementioned active rear wing, which can extend close to 12 inches for maximum performance. The carbon fiber theme continues into the P1’s relatively spartan cabin, which features a digital gauge cluster complete with a race-inspired digital dash readout. The display has multiple modes including a “Race” mode, where a bank of lights across the top illuminate green, followed by red and finally blue. These act as a shift indicator, as in McLaren’s own F1 car. The P1 is a strict two-seater, with storage space minimal due to the 200-pound battery back sandwiched between the seats and the engine. As for the styling, McLaren explains that after engaging with potential customers following the reveal of the concept in Paris, it was determined that the large majority wanted the design to remain unchanged. So unusually, the P1 has translated to production form with very little change. In fact just one, the addition of cooling ducts ahead of each of the front wheels to further aid cooling and optimize downforce. 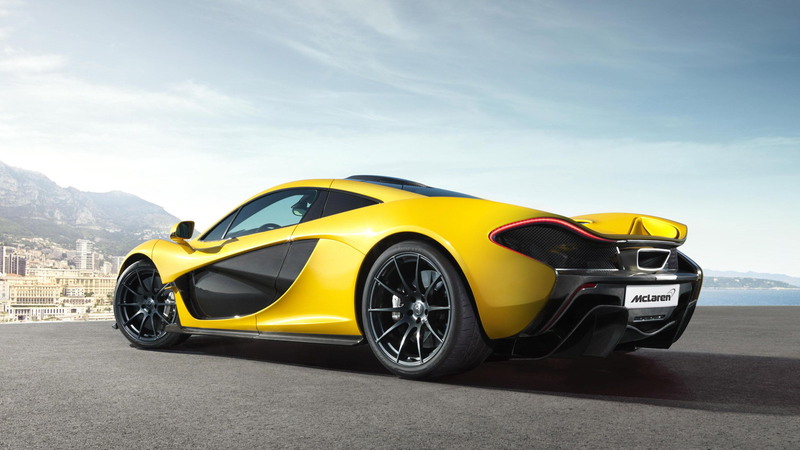 Now that we finally know all there is to know about the McLaren P1, apart from how it drives, stay tuned for live photos and video following the car’s debut at the 2013 Geneva Motor Show next week. For our up-to-the-minute coverage of the event, click here. Koenigsegg Agera R Goes On Sale In U.S.